What is the difference between a “custom” Hawaiian built canoe, and the canoes built in the Ozone Factory? When we first started making canoes in 1991 most canoes were hand laminated fiberglass and polyester. Some builders were using foam cores and coremat and vacuum-bagging the laminates. Since then the biggest change happened in the early 1990s when builders switched from fiberglass and polyester resin to carbon fiber and epoxy with coremat or foam cores. When we began making the Hurricane ages ago, that was the only construction we offered. Still today nearly all builders continue to use this same construction. Beginning in 2001 we went a step further, using an autoclave to cure our laminates. An autoclave is a large, computer controlled, pressurized oven. 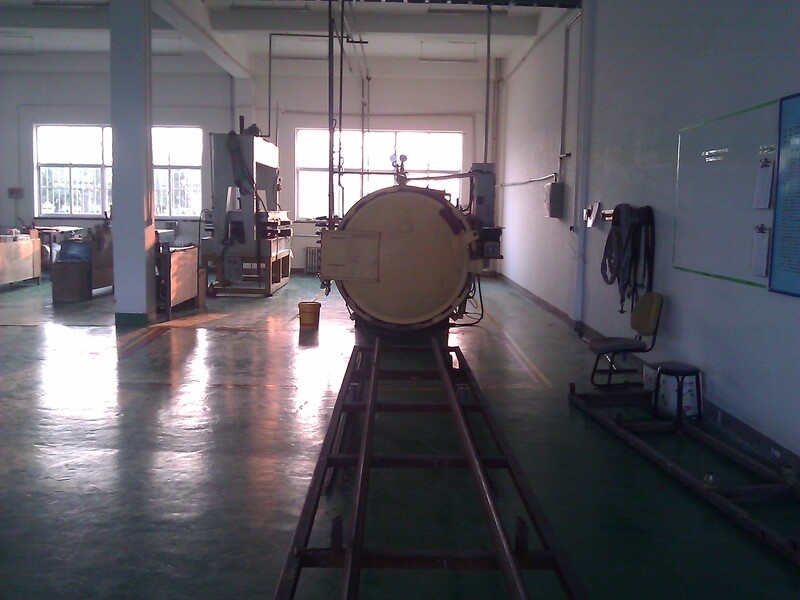 Using an autoclave we apply much more pressure that one can get from simple vacuum bagging while precisely controlling the time/temperature profile of the cure. Autoclaves are used to make high end composites for aerospace, formula 1, and Americas Cup components. Most of these use carbon fiber prepregs, something we weren’t ready to adopt, yet. In 2006 we abandoned outsourcing, and set up our own facility. We chose a location near several prepreg manufacturers so that we could make the transition to prepreg construction. What is so challenging about Prepreg? Prepreg has to be kept frozen to keep it from curing, so shipping it is really expensive. By locating near these suppliers we are able to get materials made to our specifications, and bring the cost down to a level where it’s practical for use in canoes. Prepregs are usually only used for big budget projects like those seen in aerospace and aeronautics. What are the advantages of Prepreg? Prepreg has a multitude of advantages. Our laminating room is clean. There are no toxic fumes, and no respirators. There’s no resin spilled on the floor. We don’t mix batches of resin, so there are no bad batches, and no sticky mess. We’re never under time pressure because prepregs require heat to cure. The ratio of epoxy to carbon is tightly controlled in the prepreg, so we don’t have dry or overly wet areas in our laminates. And the list goes on and on and on.. In 2011 we started work on our monocoque construction that is currently used to build the Storm and all of our ama’s. Rather than build the hull and deck separately, then bond them together with epoxy putty, the canoe is molded as a single unit. This process eliminates the hull/deck seam, which makes the canoe both stronger and a lot lighter. We have completely reinvented our painting process. We recently moved to a larger facility, and used the opportunity to redesign and upgrade our painting equipment. 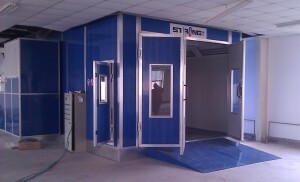 We purchased a custom-built automotive spraybooth. We then designed and integrated three infrared curing tunnels with filtered air circulation. This allows us to produce a very high quality finish with custom graphics and high gloss. These paint jobs also weigh less than what we were doing in the past. We have also deployed these new technologies into all of the components that we make. We have migrated nearly all of our components to carbon prepreg construction on our newer models. This has cut the weight down significantly on many of our parts. 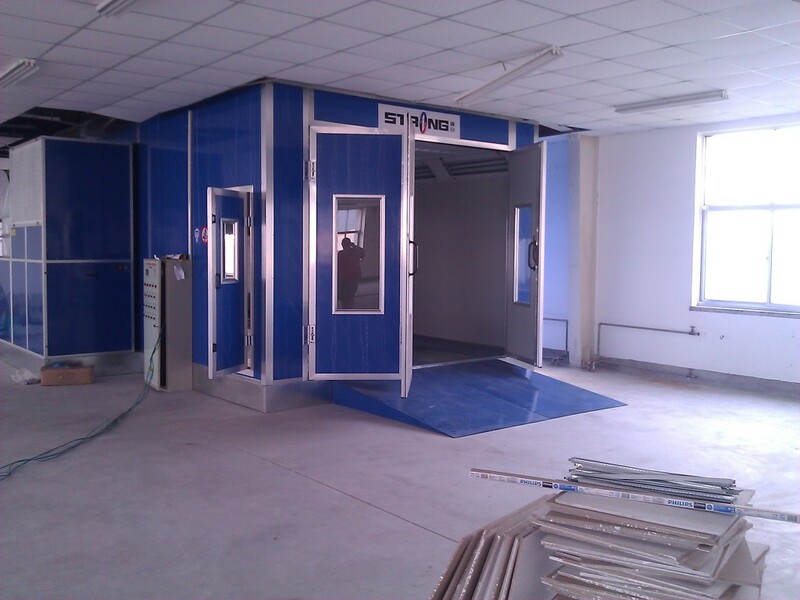 While some aspects of the construction are still the same as before, we have changed the way that they are built. We have gone digital. Our cores, seats, bulkheads, reinforements, and molds are all CNC cut. Our prepregs are cut using a CNC tangential knife. Every component of every canoe is built from a CAD model. This means that our tolerances are tight, and our repeatability is high. A great process is only part of the equation, and we’ve worked hard to hire and keep the best people we can to put it all together. It starts at the top, and Brian Dalbey has over three decades of composites and management experience. Many of our staff have been with us since we opened the facility in 2006, and we are continually recruiting the best people we can find. Have more questions about our design and build process? Ask a question in our Q&A forum. https://outriggerzone.com/wp-content/uploads/kai-waa-canoes.jpg 415 1024 mike https://outriggerzone.com/wp-content/uploads/ozone-logo-220.png mike2012-08-21 01:29:452015-01-26 08:39:25What is the difference between a "custom" Hawaiian built canoe, and the canoes built in the Ozone Factory? Unlimited Olamau The 15-1/2 pound Storm is the strongest canoe we’ve ever built.